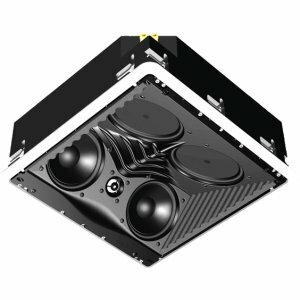 Definitive Technology's ceiling speaker, RCS II, is intended for use as an in-ceiling front main left, center or right channel speaker, as well as a rear or side surround speaker in custom installed home theater systems of the highest quality. In addition, it can be used as a superb left or right speaker in a high quality stereo music system. The RCS II with its active driver/bass radiator combination achieves an extended low-frequency response, which is deep and dynamic with a smooth and controlled roll-off that allows it to seamlessly blend with a subwoofer with a quality that has never been previously achieved in an in-ceiling system.